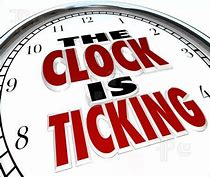 Anyone required to complete a self-assessment tax return for the 2017/18 tax year has only 99 days left to file it before the midnight deadline on 31 January 2019. Individuals or businesses whose income is not automatically taxed, and those who have earned additional untaxed income, will usually have to complete a tax return every year. Government statistics show that more than 11 million people completed self-assessment last year, of which 10.7 million filed their return on time. With 45% of returns submitted in January 2018, and 758,707 left to the final day, HMRC is urging those filing this year to complete their tax returns earlier and avoid the last-minute stress. If taxpayers miss the deadline, they can face a minimum £100 penalty for late submissions. If you would like any advice completing your tax return please contact your local Lentells office.